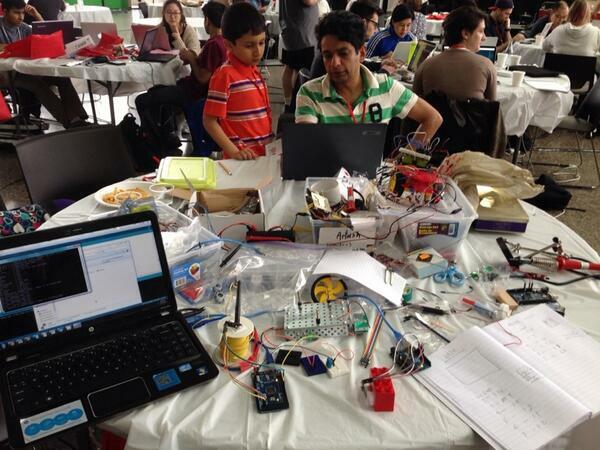 Our self-propelled robot – “CuriousBot” won the People’s Choice Award at the 2014 NASA Space Apps Challenge, Toronto. 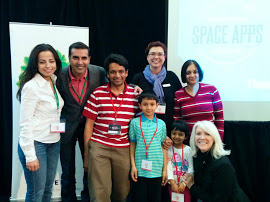 It was an awesome event held at the Ontario Science Center between 11 – 13 April. Couldn’t have asked for a better location to spend our weekend, building our rover Curious Bot. You can check out our project here. With the judges after winning Toronto’s People’s Choice Award. 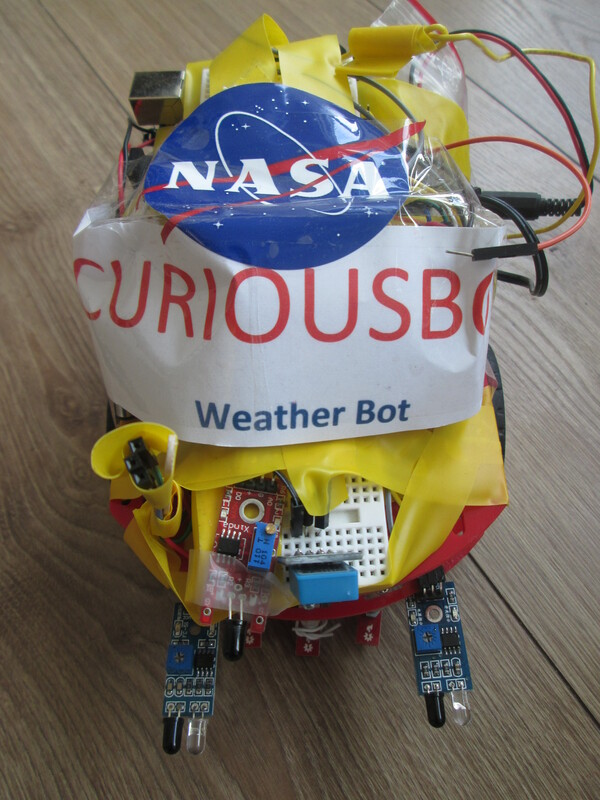 Previous Post #CuriousBot robot moves to top 20 NASA SpaceApps Finalists.